A VL spray tan will remind you of that joyful holiday feeling: glowing healthy skin, blue skies and sunshine, without those feelings being interrupted by nasty smells, sticky skin and streaky results. All whilst using the purest of ingredients, Vita Liberata is the only completely non-toxic tanning brand. Our highest quality solution not only delivers a sublimely beautiful tan, it also nourishes, conditions and is incredibly healthy for your whole body! We call it not just a spray tan but also a skin treatment. The spray tan is available in light, medium and dark, and we also have our Rapid fast acting tan. Vita Liberata are the experts in luxury tanning and skincare, headquartered in Northern Ireland. We launched in 2003 and branched exclusively into tanning and skincare in 2007 with the world’s first odourless tan – Rich Silken Sun. Odour RemoveTM technology is now present in all our tanning solutions across every collection. We believe in making no-compromise products. We only create products that are completely non-toxic, organic, and free from parabens, alcohol and perfume. We believe that healthy, beautiful and easy to use products make life that little bit more simple and free up more time to allow you to enjoy natural beauty. Alyson Hogg established Vita Liberata in 2003 and as CEO she remains the driving force behind its success. In the course of developing the range Alyson has become one of the most authoritative voices in the industry, taking an entirely new approach to move away from negative connotations around self-tanning, towards natural, odourless, pure formulations that guarantee flawless results. SKIN PERFECTION: Our unique moisture locking system hydrates, conditions and nourishes skin. SKIN ENHANCEMENT: With products that smooth, moisturise and diminish imperfections. INVISI spray tan is revolutionary. It applies completely clear with no tinted guide colour to ensure absolutely no transfer onto clothing. It then develops subtly over 6 – 8 hours. Available in Hawaii (Light), Ecuador (Medium) & Brazil (Dark). TINTED spray tan collection offers an instant bronzing colour while your tan develops over 6 – 8 hours. Available in Hawaii (Light), Ecuador (Medium) and Brazil (Dark). RAPID spray tan promises beautiful instant colour and a natural bronze tan after just 3 – 4 hours. PHENOMENAL ANTI AGE SPRAY TAN Solution contains HyH2OTM technology to fight signs of ageing including fine lines, wrinkles and dryness. Tinted guide colour while develops over 6 – 8 hours. Available in Medium. Our talented and experienced massage therapists offer a number of specialists massage treatments for face and body to relax, rejuvenate and energise the entire body. Full relaxation is a must for our clients, and each treatment is delivered in a tranquil atmosphere that is both calming and sensual; you benefit from a truly immersive massage treatment. During a hot stone massage the therapist heats as many as 50 basalt stones of varying sizes to 120–140º F, then uses them over your oiled body and rests them on top of and beneath you, where you need it most. The stone warmth enhances the effects of the pressure. Some people believe the stones have healing, grounding qualities, which makes hot stone massage a more profound experience than your basic massage. The therapist will leave some of the smooth, heated massage stones in contact with your body and use others to massage you. Cold stones are sometimes incorporated, especially on the face, where they have a firming effect. 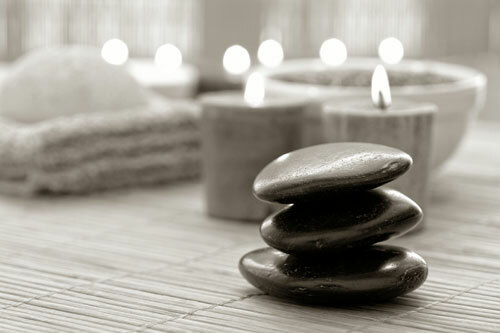 Hot stone is a feel-good treatment found on most spa menus. Hot and cold stone temperatures have said to be like the ‘vascular gymnastics’ of the circulatory systems, the system that controls self-healing in the body. The Shrinking Violet Body Wrap is a pain free inch loss treatment that removes unwanted inches all over the body; it does not rely on dehydration or water loss for its results. The ingredients used during the Shrinking Violet wrap include an active phospholipid solution, pre-blended essential oils designed to reduce cellulite. These are made up into a nano-ceutical solution, which means the active ingredients can penetrate the skin immediately. The shrinking violet wrap would not be complete without using wrapture, a special type of heat inducing film wrap. The phospholipid solution consists of hydrolysed lecithin at a 20% concentration three times more concentrated than most wraps. THE MASSAGE WITH OCEANIC BODY MILK Helps compensate for skin dryness and perfects moisturising. A blend of regenerating ingredients which energise and firm with mineralised seaweed, it gives maintains, enhances and creates renewed suppleness and elasticity. TROPICAL SAND PEEL This body scrub with white sand from Bora Bora gently eliminates impurities and leaves a delicious scent of citrus fruit on the body, refining skin texture. The scrub is even more effective thanks to the red algae contained in this mineral complex, softening the epidermis, ensuring the skin regains its natural radiance. ESSENTIAL OIL BODY WRAP The indulgent wrap creates a truly relaxing environment. The essential oils contained in this product provide a total sense of well being, relieving tension as well as deep cleansing and detoxifying the skin. While used with a thermal blanket, the gentle warming of the wrap creates a sensation of intense sedation, and eliminates toxins and impurities. AFRICAN BODY WRAP Ghassoul is accent clay, which was formed under the Atlas Mountains in Morocco, with cleansing and purifying properties, rich in trace elements, it gives the skin suppleness and clarity, ensuring the skin regains a marvellous satin-smooth texture and glow. 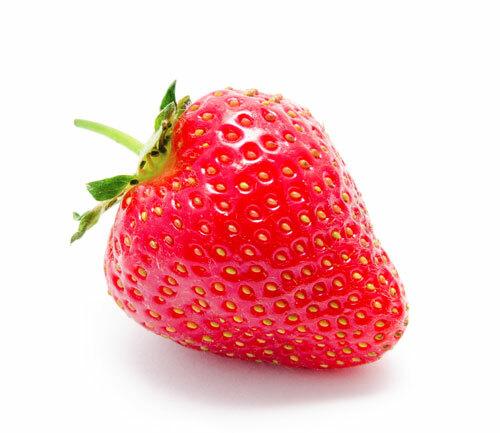 Rich in minerals it stimulates cell renewal and aids the elimination of toxins. EPILYSS WAX We are proud to present this fantastic wax that comes all the way from Canada. We are the only salons in the UK to have use Epilyss and it won’t be found anywhere else. Our waxing offers the very best in hair removal treatment, giving immaculate and long-lasting effects, while virtually pain-free and performed with minimum fuss. It removes the hair as short as 1mm long, incorporates relaxing aromatherapy ingredients, used at an extra low temperature for the clients comfort. With a vast array of different procedures and techniques, we offer both female and male waxing treatments delivered to the required specification and personal preference. Our commitment to hygiene; one of the most important aspects of the beauty industry. In order to make your waxing treatments as clean and hygienic as possible, we never double-dip. Every time that spatula touches your skin it goes into the bin and is replaced. And we know that one of the most frustrating things is a prolonged waxing session. That’s why we are all fast, thorough and professional. Our signature technique is all part of our effort to make waxing a treat rather than a chore. Common belief is that waxing is painful and unpleasant – we’re here to change that. The wax we choose to use is the best on the market and gains us excellent feedback from our clients. Its unique, creamy formulation has been developed so that it adheres only to hair and not skin, resulting in an almost pain-free wax. Unlike traditional wax, it prevents the most common problems, including hair breakage, ingrown hairs and redness so your skin is left smooth and touchable soft. 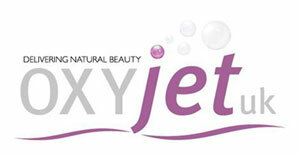 OXY JET BY NORA BODE: the world-renowned original and patient oxygen delivery system. For aesthetic skincare voted as European No. 1 oxygen facial treatment and loved by many celebrities. A powerful and effective needle free concept in facial rejuvenation. A complete wellbeing experience without risks or side effects. 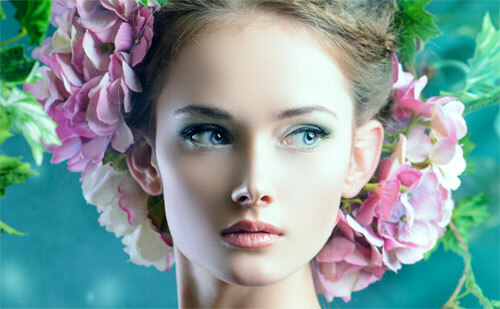 Verity developed the hugely successful brightening oxygen facial used by many celebrity clients. Our most popular facial with celebrity clients and clients in the know, the Brightening Oxygen Facial, ensures you will see an amazing instant glow. Moisture levels are proven to increase by up to 85% and skin elasticity by 80% after just one treatment. The service includes an intensive facial cleansing, exfoliation, fruit acid wash, pre-extraction oxygen wrap and necessary extractions, calming oxygen mask, hydrating and nourishing enzyme pack and vitamin-rich oxygen spray. EXPRESS FACIAL Verity’s unique Express Facial is great for giving the skin a brighter look in a matter of minutes. The 30-minute facial is suitable for all skin types. After an initial skin analysis your therapist will design a bespoke facial to see to your skin’s needs. A perfect pick me up for an instant boost and a great introduction to the renowned facials. Not only will your facial include a deep cleanse, exfoliation, a tailored mask, tone and moisturizer but it also includes a relaxing massage. INSTANT SKIN MATTIFIER Instant Mattifier treatment is great for young, troubled skin. This spa treatment combats hyperactivity in skin with a combination of therapies, leaving your skin refreshed, relaxed and looking fantastic with a beautifully even matt complexion. The Instant Skin Mattifier includes, a sebum-controlling cleanser, dead cell dissolving peel, pre-extraction oxygen treatment, extensive extractions, lymphatic drainage and mattifying mask. BACK/CHEST FACIAL THERAPY Don’t be confused by the name; choose either your back or chest to have a facial procedure, creating your dream experience by incorporating some of our extensive add-ons to form your perfect spa treatment and target specific problems areas of your choice. This facial therapy treatment is a luxury you can afford to try. Please note this service is either back or chest only. EXTREME DEEP CLEANSE My Extreme Deep Cleanse treatment gives you the ultimate deep facial cleansing. Perfect for problem skin. The treatment includes microdermabrasion therapy to rejuvenate and even out the skin, diminishing the appearance of fine lines and improving your skin texture to give you that vivacious glow. The Deep Cleansing Facial follows with a 30-minute oxygen wrap, intensive extractions, a massage and finally a calming mask to refresh and calm your skin before you leave. MICRODERMABRASION The Microdermabrasion facial is perfect for treating sun damaged skin, scarring or uneven skin tones, and is a virtually painless yet highly effective skin therapy. Looking to improve your skin texture? Diminish the appearance of fine lines and wrinkles? It will leave your skin looking fresher with a healthy glow and vitality you may well have been missing. Microdermabrasion can be used on the face, chest, back, arms or legs. Alternatively you can add Microdermabrasion to another facial for only £30. ESSENTIAL MAINTENANCE FACIAL A must have between more intense facials. 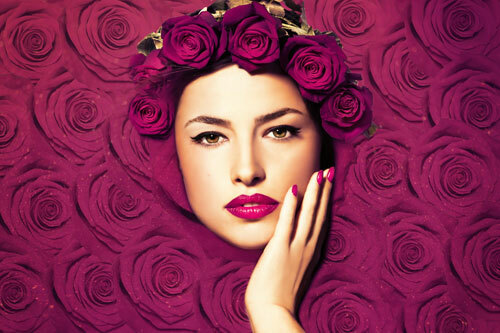 Maintain the quality and vitality of your face’s skin with our essential maintenance facial. Your skin is cleansed, exfoliated, with extractions and an individualized treatment mask. I will also include a shoulder and neck massage to ensure you’re fully relaxed, refreshed and stress-free when you depart. OXYGEN EXPRESS FILLER Using the oxygen volumising peptides and a collagen mask the skin is treated to a boost of oxygen and corrective formulations. OXYGEN ENERGISING TREATMENT A quick fix oxygen skin enhancing treatment perfect to have a boost during your course or just to have a red carpet glow for a special occasion. FACIAL ADD-ONS To heighten your beauty spa experience we invite you to customise your facial by choosing from our optional add-ons for your treatment. BRIGHTENING ENZYME PEEL Doctors and aestheticians swear by the Brightening Enzyme Peel, an enzyme from a Japanese mushroom along with 14 other botanicals, which exfoliates and detoxifies the skin. The peel itself includes a blend of extracted oils from lavender, coriander and Roman chamomile flowers. Brightening Enzyme Peel’s appeal, as the ingredients work together to gently exfoliate your skin, giving it an amazing brightening effect. This treatment can also help to tighten and diminish the appearance of fine lines and wrinkles. COLLAGEN MASK Loved and relished by many celebrities, a collagen mask is a must have add-on to any facial before a night out or special event Your facial skin’s hydration levels are increased by up to 180% and is clinically proven to last for up to 14 days, ensuring you don’t have to be rushing around at the last minute trying to look your best. This intensely hydrating and anti-ageing collagen mask will plump out wrinkles and even out the skin texture and colour so your face looks balanced and vibrant for your important day or night. EXTRACTIONS Add extractions to any facial for just ten pounds to give your skin the clean it wants and needs. This treatment is a simple and painless procedure to remove pore-clogging sebum by applying gentle pressure to your face after cleaning your face and opening pores. Extractions will leave your face brand new. NOURISHING HAIR TREATMENT For those worrying about their hair as well as their skin is the hair treatment add-on. A nourishing hair treatment available for just £10; a Hair Dew Minerals treatment that includes an acupressure application of scalp, cleansing essential oils, conditioning cream and stimulating massage. It is perfect for guests with dry or damaged hair. COLLAGEN AMPOULE Add the Collagen Ampoule treatment if you’re worried about sneaky crow’s feet or wrinkles. The anti-wrinkle action of the Collagen Ampoule’s serum provides intense rehydration for your face, plumping lines to give a younger and fresher look. CAVIAR INSTANT FIRMING MASK Known as the “15 minute face lift”, and the hottest firming mask on the market, your hydration levels increase by up to 180%. It is also clinically proven to last for up to 20 days, so plan ahead and you can be prepared well in advance. The Firming Mask helps to instantly strengthen and diminish fine lines, deeply moisturize and smooth, restoring your skin’s radiance. The perfect choice to energise tired looking skin and protect against free radical damage. ANTI-AGEING EYE TREATMENT Another recommended addition to any facial, is our anti-ageing eye treatment including a wrinkle-renovating Japanese mushroom enzyme peel, a dark-circle-diminishing ’round the eye’ hydro-gel massage and a de-puffing instant lifting caviar mask, refreshing your face’s natural beauty and giving your skin a new lease of life. The Anti-Ageing Eye Treatment gives instant brightening, smoothing and hydrating effects will leave you wide-eyed and looking fabulous for whatever the occasion. File and polish – File and polish with the choice of Nail polish. Classic Manicure – Soak, cut, file, cuticles removal and moisturising. Basecoat, nail polish of your choice and topcoat. Signature Manicure – As classic plus exfoliation, moisturiser, hand mask in hot mitts followed by a massage. Japanese Manicure – A beautiful treatment for your nails, a unique manicure used with natural products to soften, hydrates, strengthens and improves your own natural nails. No chemicals whatsoever. Perfect for weak nails or nails needing a break from gel. Gel Manicure – Classic Manicure with gel polish, Gelish is the most popular nail brand used by many celebrities’ clients, lasting for 2 weeks without chipping or drying time. Our most popular treatment. Classic Pedicure – Soak, cut, file, cuticles removal, dry skin removal and moisturizing. Basecoat and nail polish of your choice, topcoat and Seche Vite drier. Signature Pedicure – As classic plus exfoliation with hot towel and massage with moisturiser and luxury foot mask. Japanese Pedicure – A beautiful treatment for your nails, a unique manicure used with lots of natural products to soften, hydrates, strengthen and improve your own natural nails. No chemicals used. Perfect for weak nails or nails needing a break from gel and for the ladies who wish to stay natural. Manicure – Soak, cut, file, cuticles removal, and exfoliation with hot towel and massage with moisturiser. Signature pedicure – Soak, cut, file, cuticles removal, exfoliation with hot towel and massage with moisturiser. Specialist eye treatments including tinting, extensions, lifting and more. We believe that the eyes are seen as the focal point of the face, and are a reflection of our true emotions. Offering a wide selection of treatments to suit each and every client, we offer the best and most exclusive treatments and products to deliver maximum results every time. We offer an almost pain free procedure using are specially formulated wax that leaves the eye area feeling hydrated and nourished, not red and sore like other wax used in standard salons. Our exclusive wax pulls hair from the dermal papilla (the white roots) enabling the results to last longer than any other hair removal treatment on the market and more defined shape to the brow. EYEBROW TINT Enhance the general appearance of your eyes it gives you a beautiful defined brow without having to achieve your look using a pencil, giving them the perfect shape. The treatment will normally last up to 6 weeks and is particularly good for people with sensitivity to make-up, sporting activities, especially swimming, for people with no time to apply make-up daily, contact lens wearers and those with fine eyebrows. EYELASH TINT Eyelash tint! Gives your eyes that fabulous defined look, a quick and painless procedure that gives instant results giving a darker, longer and thicker looking lashes. With a range of colours our beauty therapists are on hand to give advice on colours for the best results. This treatment gives continual results particularly for those holidaying or when waking up in the morning, some of the benefits of Eyelash tinting are as follows: enhance general appearance of eyes, great for people with sensitivity to make-up, for sporting activities, especially swimming, for people with no time to apply make-up daily, for contact lens wearers, for people with fine eyelashes. EYELASH EXTENSIONS Semi-permanent eyelash extension treatment for women (and men) to effortlessly emphasise the shape of the eye, creating an attractive, stunning and captivating effect. Eyelash extensions provide thickness and length to natural eyelashes by attaching each eyelash extension to your own individual eyelash, transforming them into long voluminous lashes enhancing the charm and appeal of your eyes. We only use Minx lashes in cashmere, the very best quality. MAINTENANCE The lifecycle of a natural eyelash is between 60 and 90 days. Once the natural lash has reached the end of its cycle, it will fall out taking the lash extension with it. To keep your lashes looking full and gorgeous a top up every three weeks is recommended. 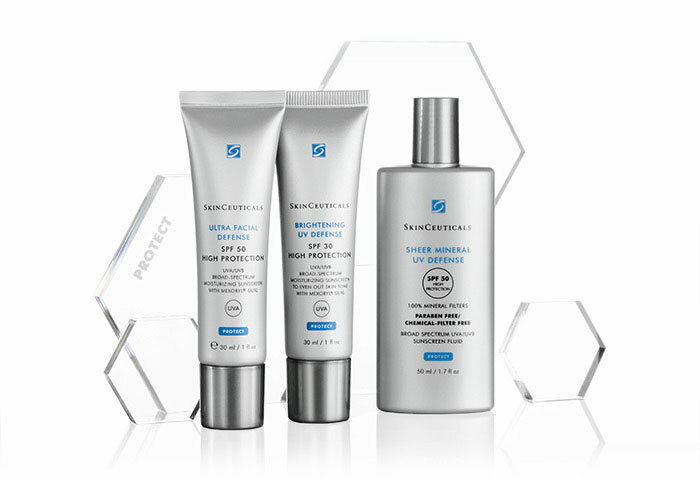 SkinCeuticals is all about science. It puts research, formulas, testing and quality of protect at the top of its list for high standards. Their commitment to excellence means our customers enjoy advanced skincare, backed by science and clinically proven to optimise healthy looking and feeling skin. Research and innovation are the core fundamentals of SkinCeuticals’ manifesto and mission. Their dedication to scientific skincare has seen the brand establish itself as a leader in advanced skincare. 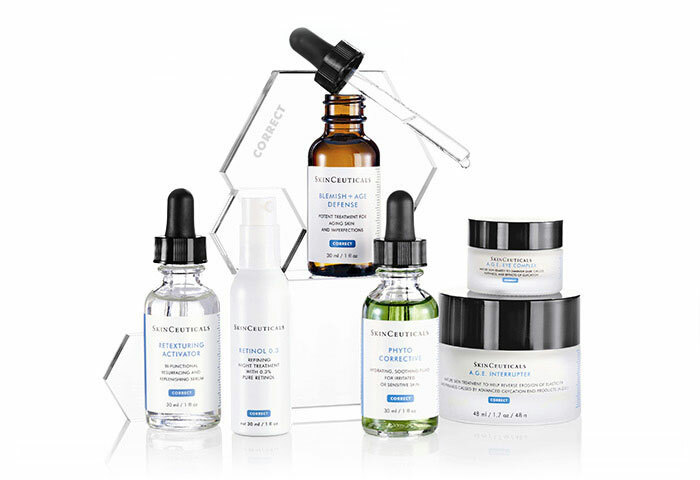 Founded as a direct result of groundbreaking research, SkinCeuticals is a pioneer in next-generation products that optimise healthy looking and feeling skin and continue to explore and contribute to innovation in skincare, lead by Sheldon R. Pinnell, MD, one of the world’s most well respected doctors and skin scientists. SkinCeuticals holds clinical studies to the highest standards, with dermatologists overseeing testing. Their first clinical study on vitamin C, a product we know works and love to use, paved the way and set SkinCeuticals on the path to becoming one of the world skincare industry’s most well-known products. They also publish their research and clinical studies in respected scientific journals; something we respect. 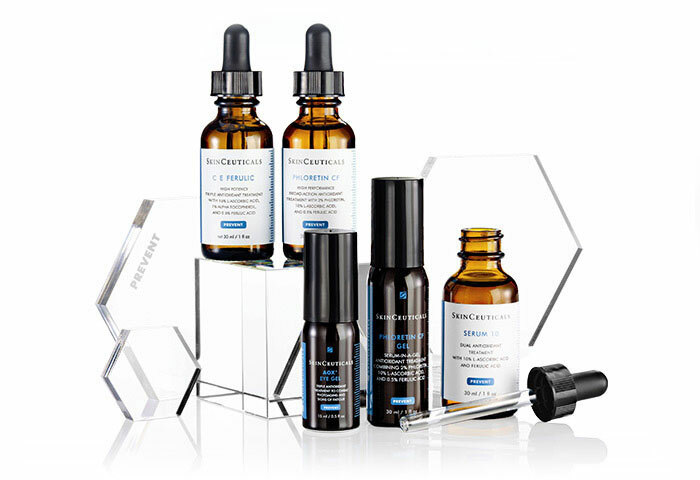 SkinCeuticals continues to pioneer skincare and we are proud to use and stock their products.